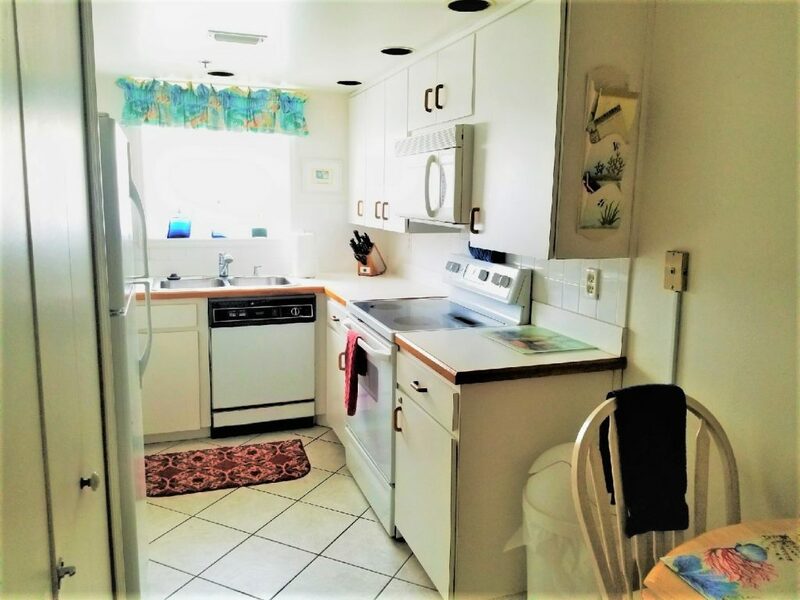 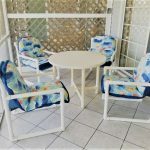 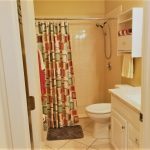 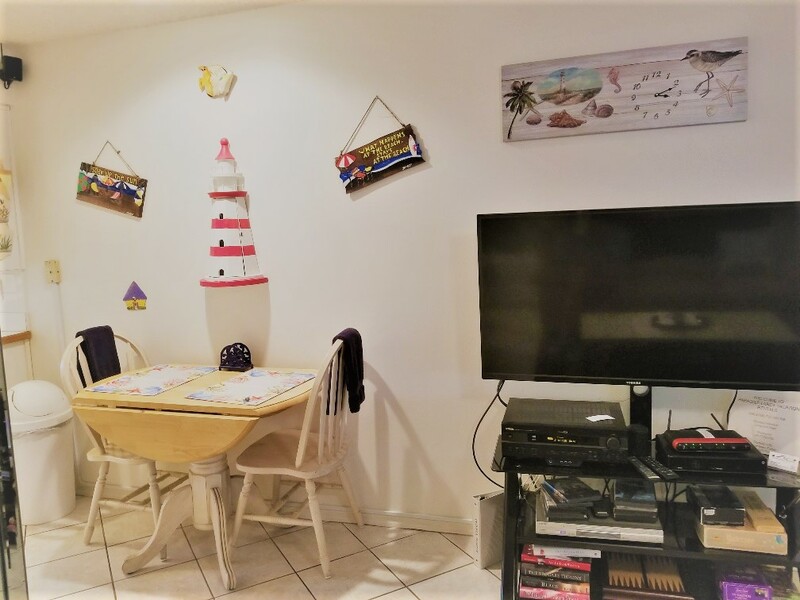 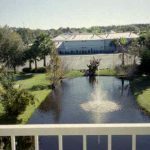 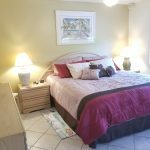 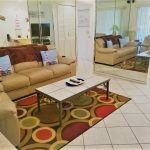 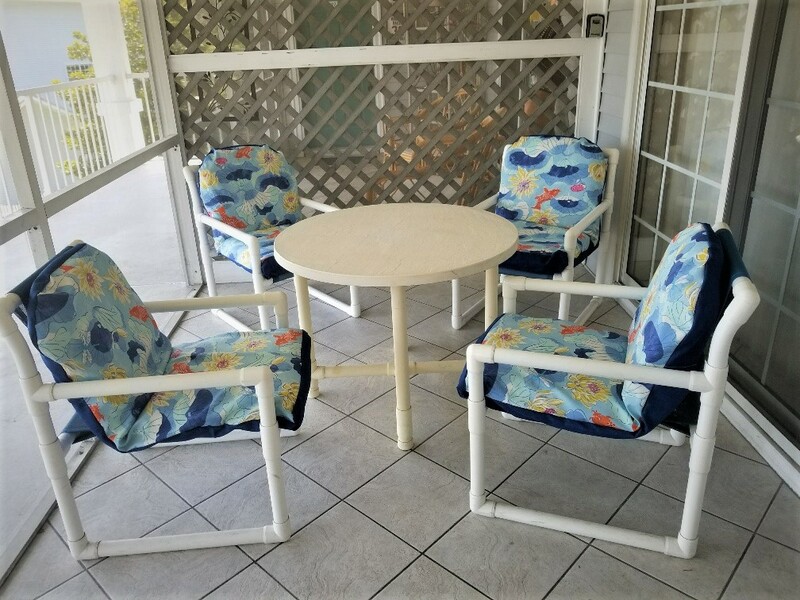 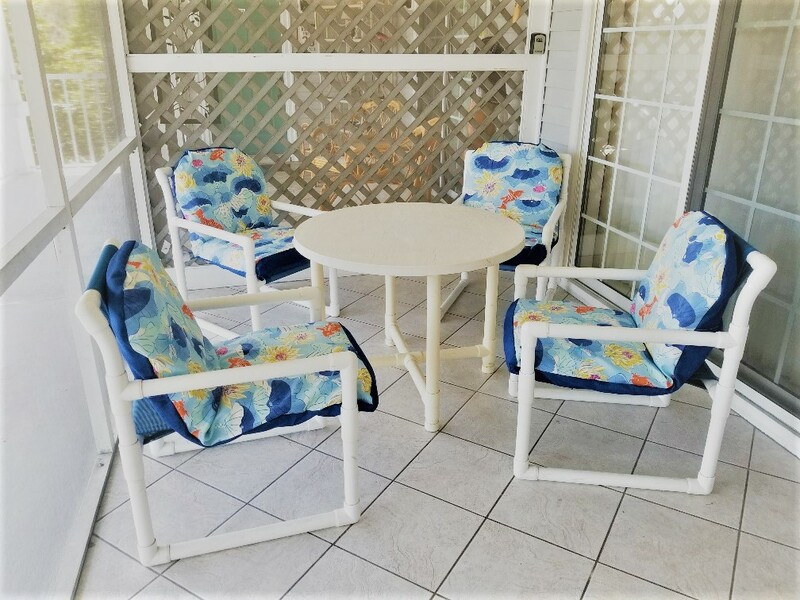 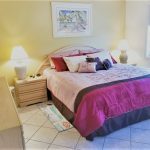 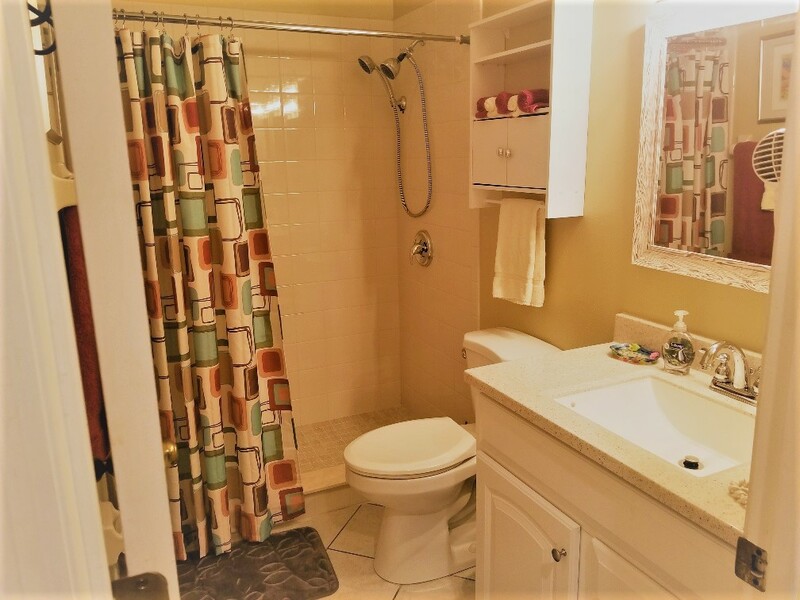 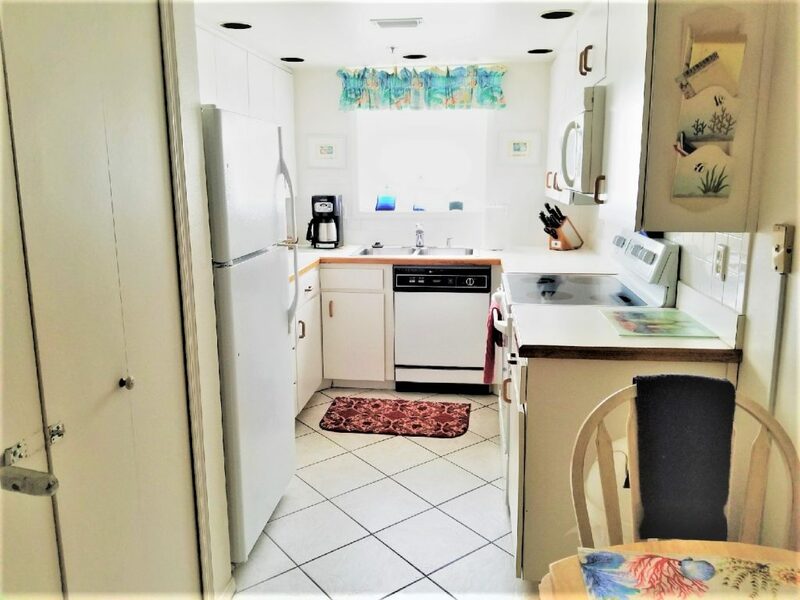 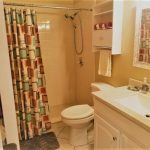 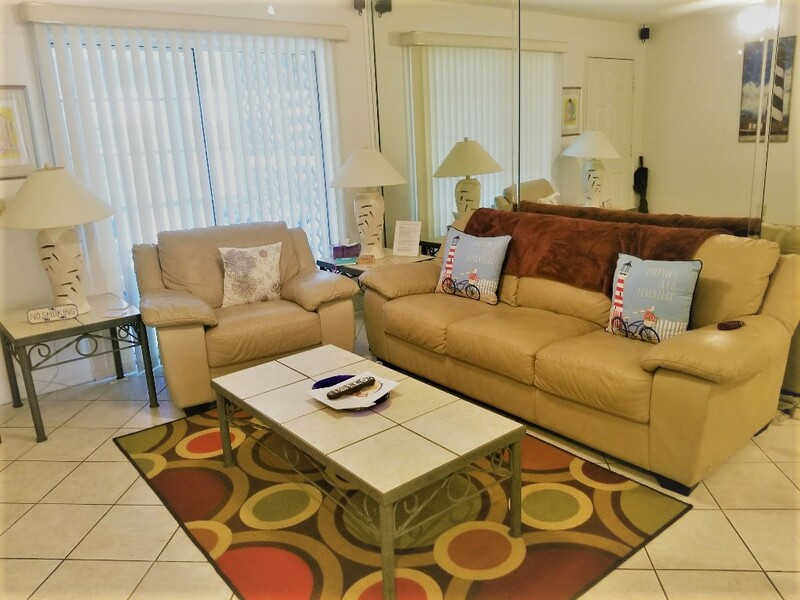 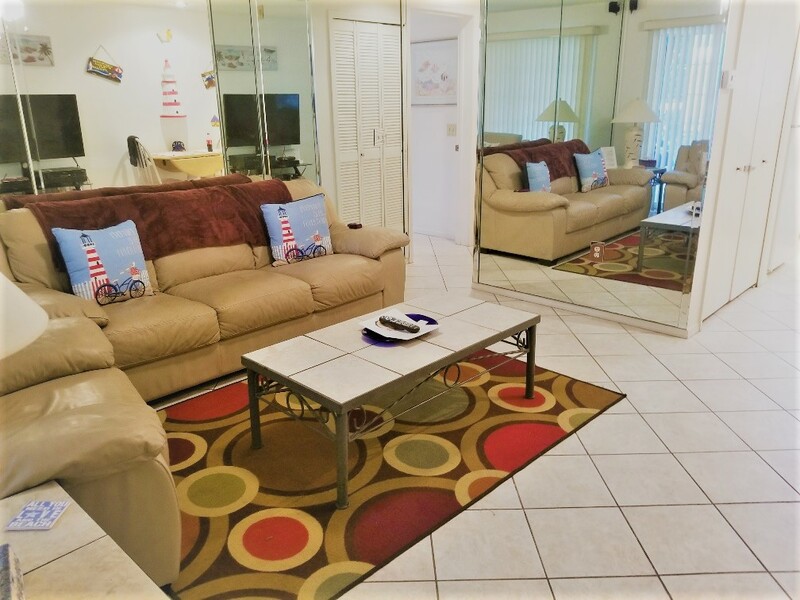 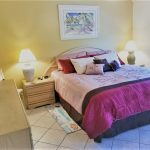 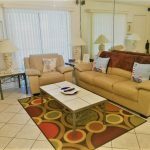 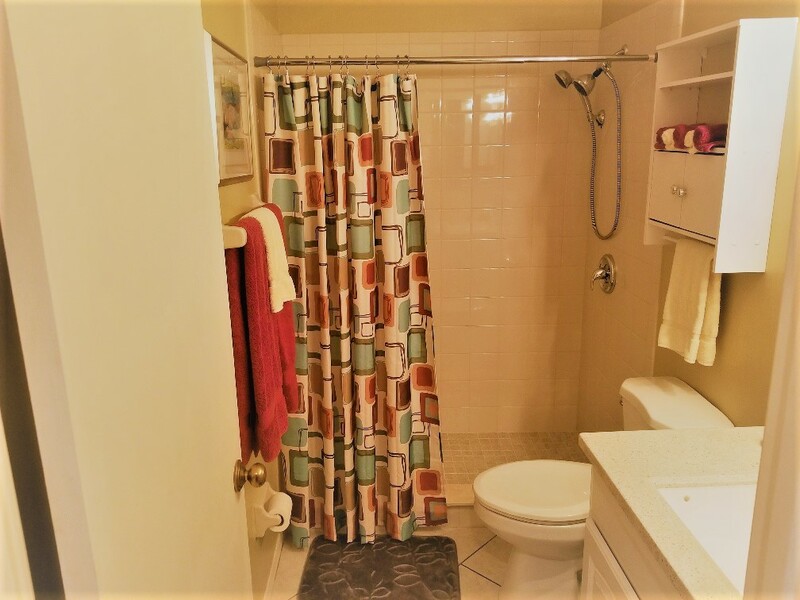 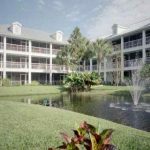 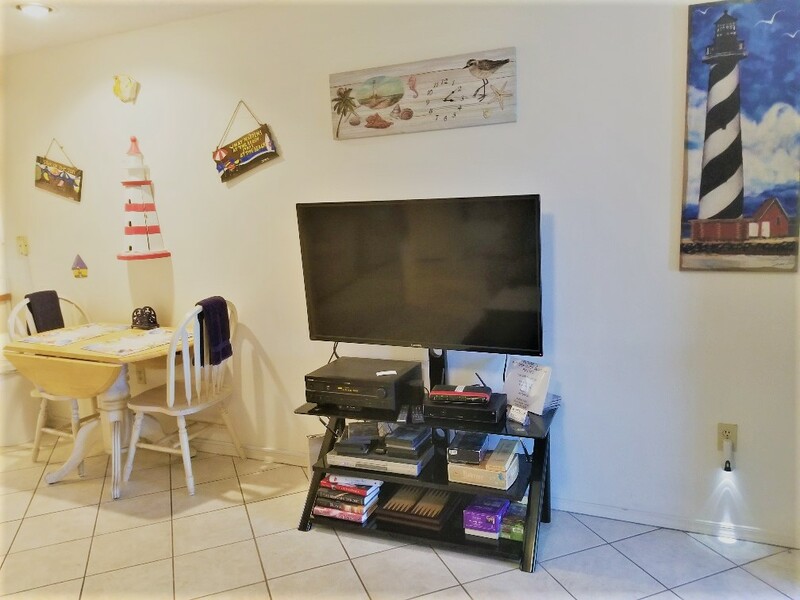 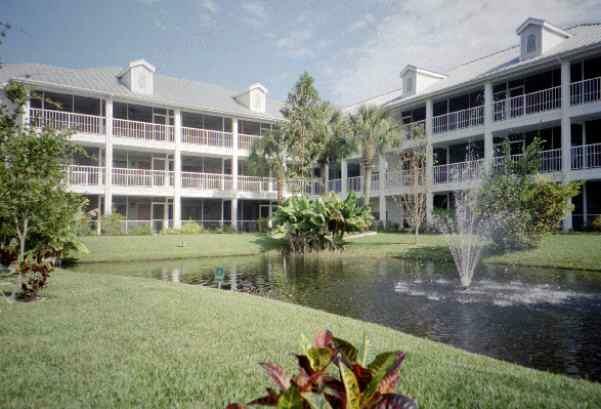 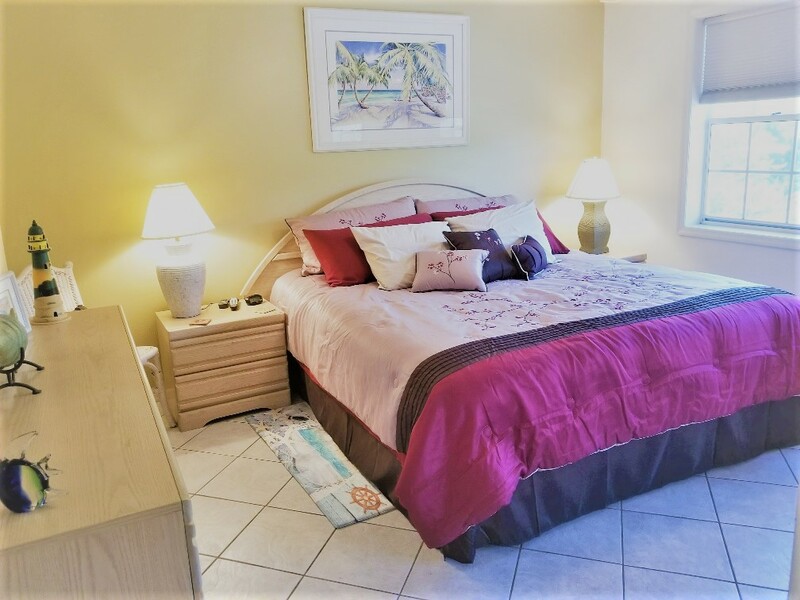 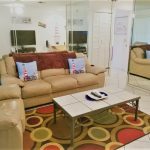 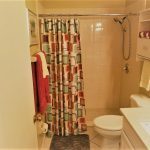 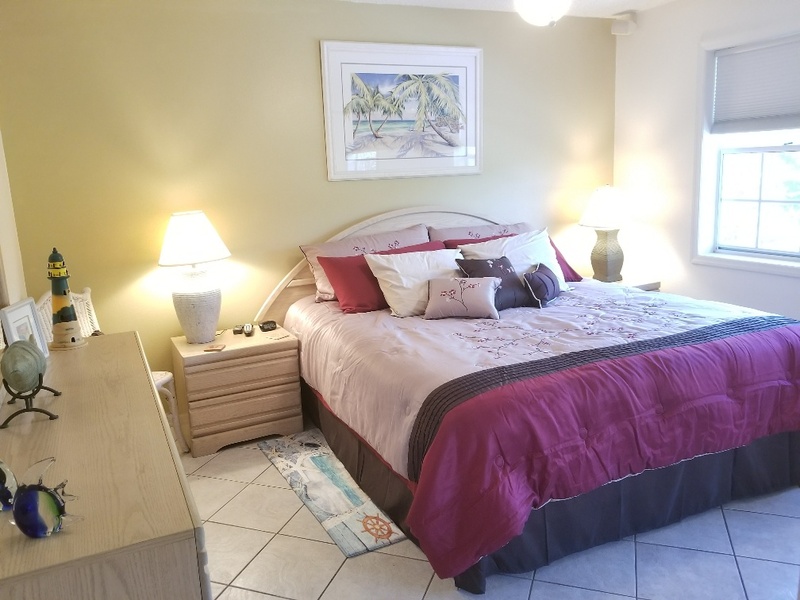 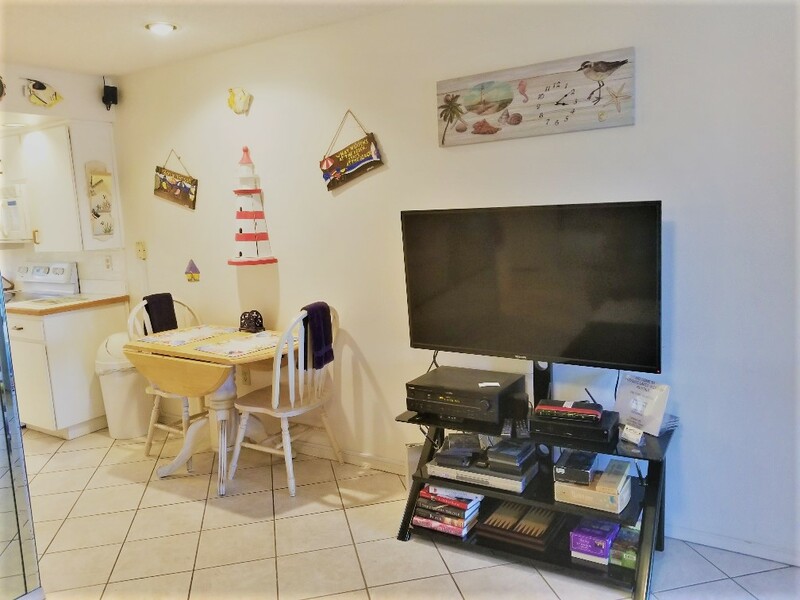 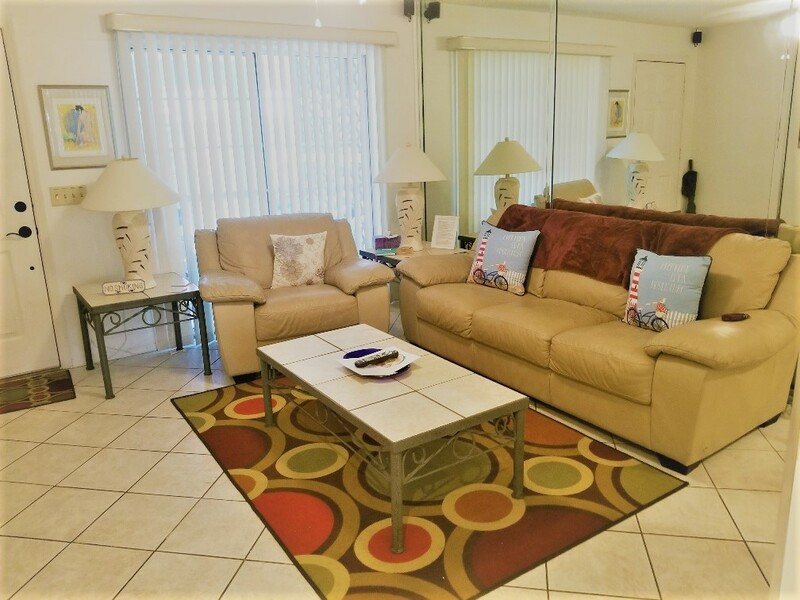 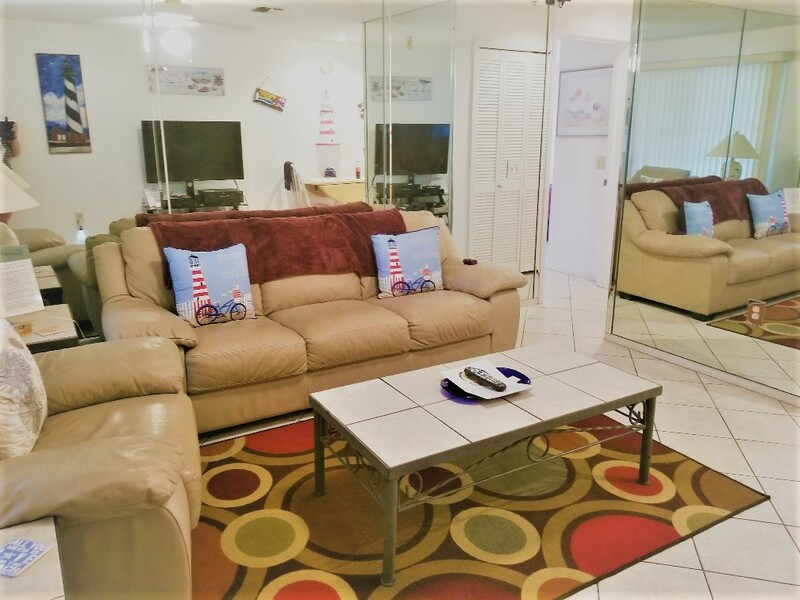 Located in Phase III of Paradise Lakes, Our condo The Lighthouse #526 has tranquil location, yet is only steps from the main pool, whirlpools, shops and friendly people. 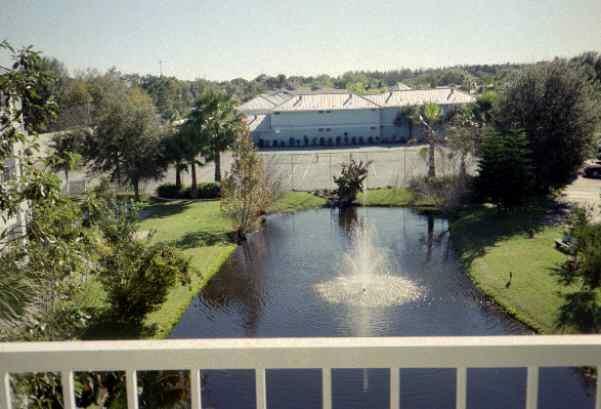 From the third floor balcony, the condominium overlooks a reflecting pond with a water fountain in the center, Since this is the top floor of the building, you will avoid the sound of footsteps over your head. 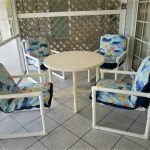 The 14′ x 8′ outdoor screened lanai is ideal for outdoor entertaining or reading a book. 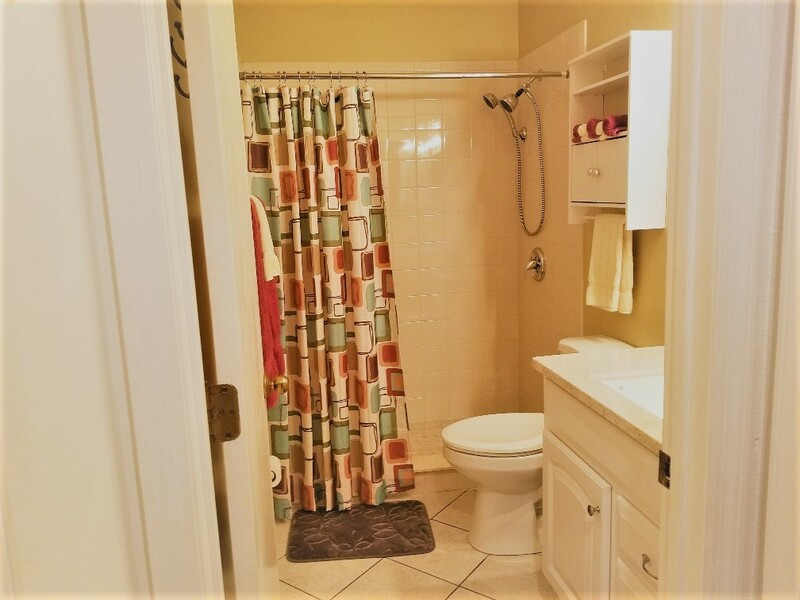 Few condos at Paradise Lakes have this feature. 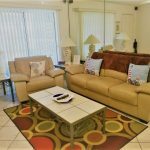 The large living room has floor to ceiling mirrors on two walls and a leather sofa and leather chair. 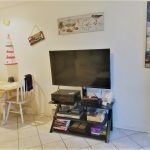 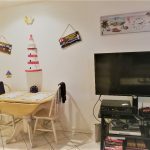 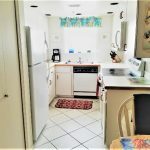 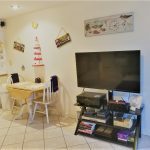 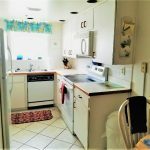 The living area also features a wireless high speed internet, a Dolby Digital Surround Sound system with JBL speakers, 27″ stereo TV and stereo CD/DVD player, The full service kitchen is equipped with a full size refrigerator with ice maker, microwave oven, dishwasher, electric stove, krups coffee maker and grinder, toaster and all cooking and eating utensils. 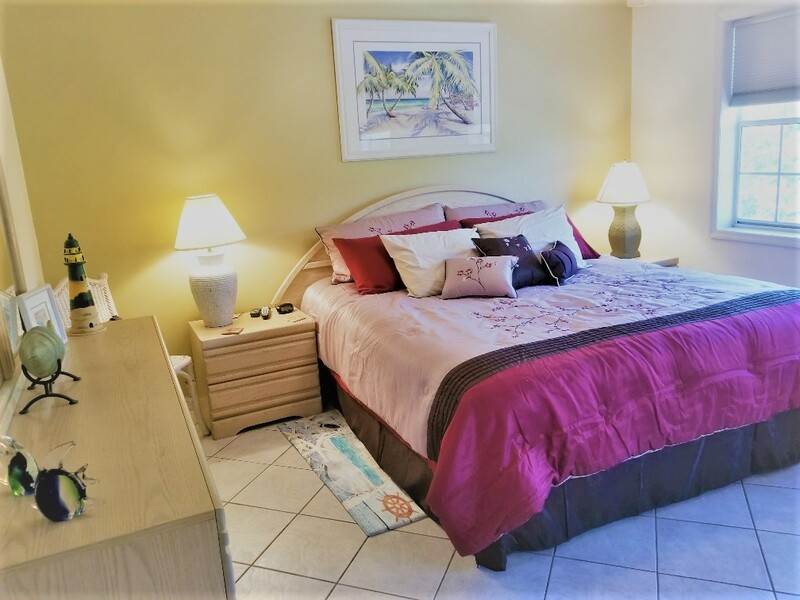 The master bedroom is furnished with a king size bed and wall mounted TV.